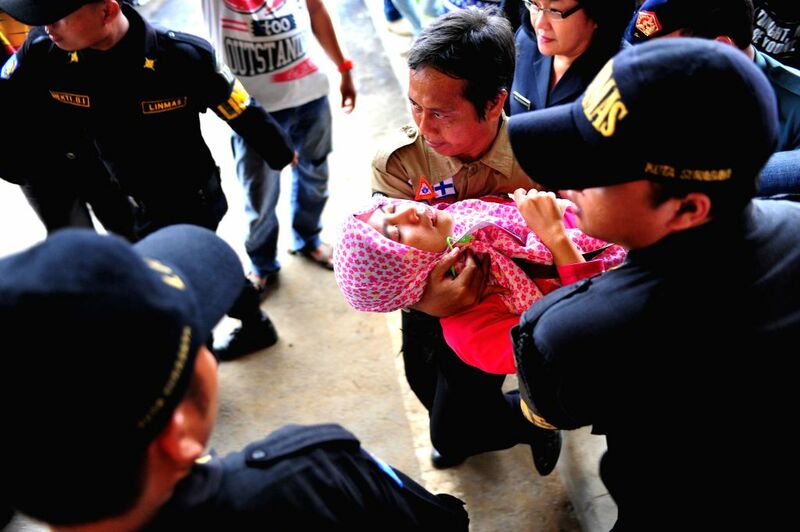 JAKARTA, Dec. 30, 2014 - Medical staffs carry away a woman at Juanda International Airport in Surabaya, Indonesia, Dec. 30, 2014. 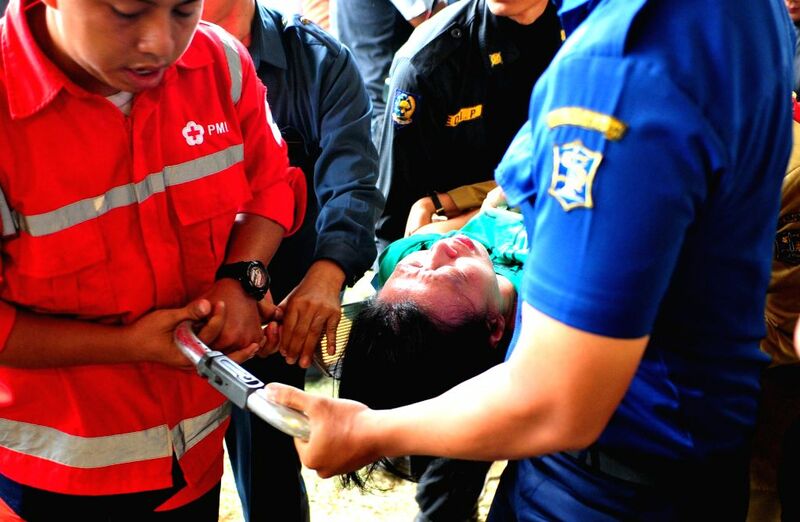 Rescuers on Tuesday saw a shadow believed to be part of a plane around the waters where an exit door, several objects and six bodies were found off Pangkalan Bun of Central Kalimantan, Indonesia. 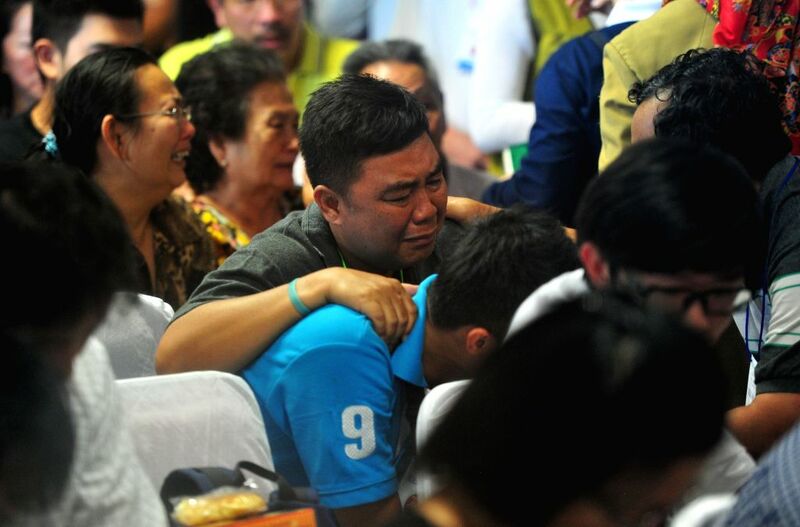 Family members of people on missing AirAsia flight QZ8501 cry after hearing the announcement that the objects found in waters were confirmed parts of AirAsia QZ8501 at Juanda International Airport in Surabaya, Indonesia, Dec. 30, 2014.